Our theme for this term is...Predator! 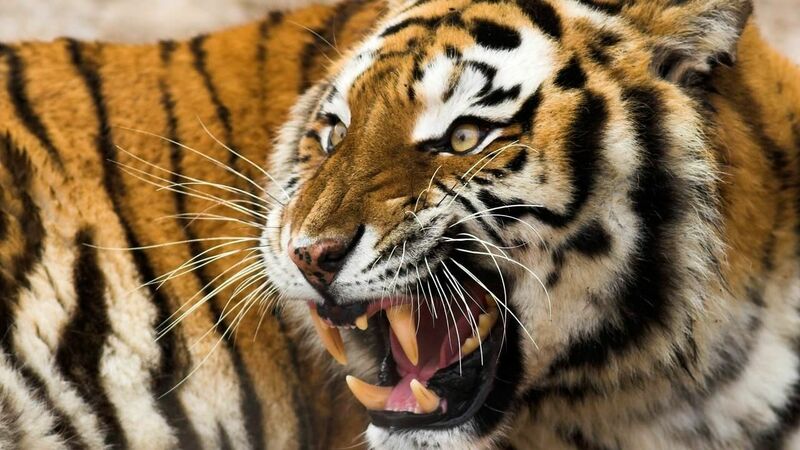 Years 3 and 4 will be learning about the exciting world of predators! We had a visit from 'Zoo Lab' on Tuesday 2nd of June. We got to touch and hold a range of animals including a corn snake! Thank you very much to Jack our animal expert for answering all our questions. Watch out Mary Berry, years 3 and 4 are the new bakers in town! This week was enterprise week at Longlands and our challenge was to create a successful recipe book publishing house! We have had so much fun designing and baking our own shortbread recipes but more importantly they tasted wonderful, yum! The children have been working hard in teams and using all of their enterprise challenge skills, especially being creative! Thank you to the kitchen staff for helping us bake the shortbread, a fantastic week was had by all. Today we had a visit from Tony Barber who is part of the team trying to break the land speed record! They are aiming for a 1000mph record, how incredible! We had great fun building our own balloon cars and racing them. Well done to Sonny McGill's team and Tommy Tickner's team who won the races for their year groups. 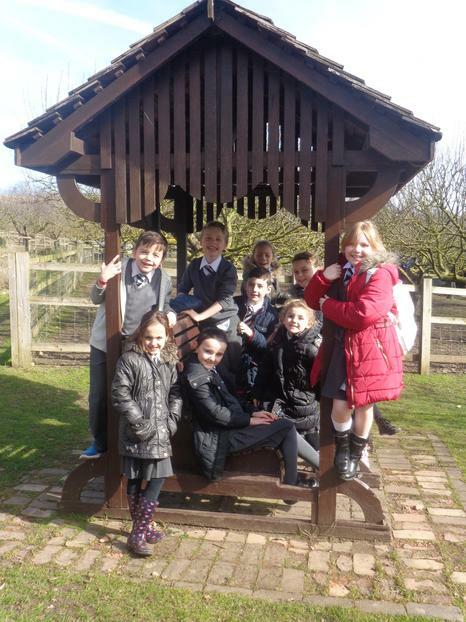 On Friday the 6th of March, a very excited year 3 and 4 packed up their lunch boxes and travelled by coach to the Museum of Kent Life as part of our ‘Tribal Tales’ topic. When we arrived we had some time to explore and there was so much to do! We all got the chance to hold a variety of animals in ‘Cuddle Corner’ where we even found out that chickens have evolved from dinosaurs! We also got to visit some old fashioned houses and go on a tractor ride around the museum’s farm which was really fun but a bit bumpy! Our main activity was taking part in a ‘Stone Age’ workshop. We got the chance to hold a selection of artefacts from this period and some of us got the chance to experience what it might have been like to live in a cave! A fantastic time was had by all and we had lovely weather to make the day even more special. Thank you to all of the adult helpers for your support during the day. Olivia L and Jodie having fun! The horses enjoying year 3 and 4's company! We all dressed up as book characters! On Thursday 18th of December, years 3 and 4 hosted their very own hat fashion show! This was based on the theme of Alice in Wonderland. The children spent the week designing their hats before gathering materials to make them. The hats were absolutely brilliant and came in all different shapes and sizes! 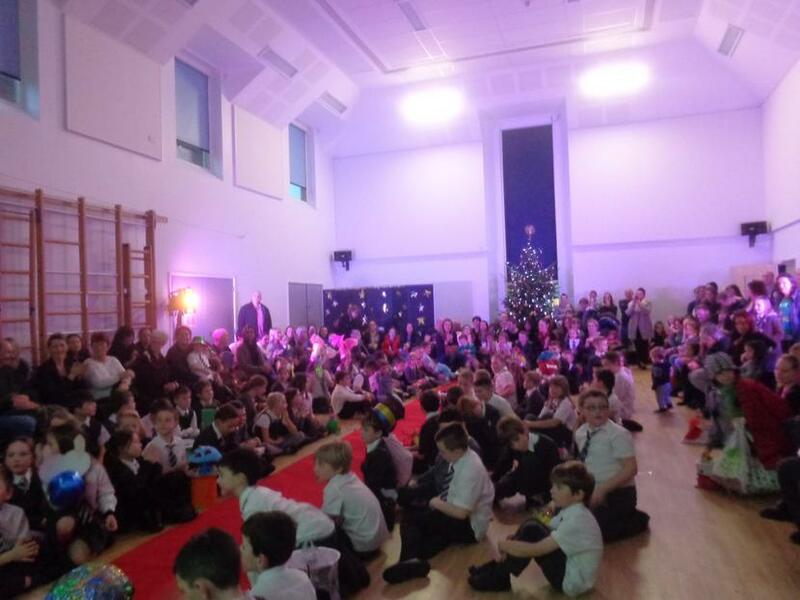 Grown ups and staff were invited to come and see the show and the turn out was amazing! Every child strutted their stuff down the Cheshire cat walk with pride On behalf of myself, Mrs Michie and Mrs Leighton, we are so proud of the children for their wonderful efforts! The children will also have weekly spellings to learn as well as reading records which parents/carers can use to comment on their child's reading. "As part of our Just Read campaign, we're showing you how important it is to encourage children to read from birth. A figure released to us exclusively from a report out this November by the National Literacy Trust reveals that one in five children aged three to five that read or look at books daily have literacy outcomes above those expected for their age". Just 10 minutes reading a day with an adult could make a wonderful difference! So get reading!